On Friday November 25th at 10:29pm Fidel Castro, the outstanding Cuban revolutionary leader, passed away. He was 90 years old. Fidel leaves behind a legacy of over 70 years of steadfast commitment and accomplishments in the fight for a better world. We offer our heartfelt condolences to Raúl, his family, the people of Cuba and millions of people everywhere for whom Fidel holds such an important place. As a student leader turned victorious guerrilla commander and later as Cuba’s head of state, Fidel dedicated his incredible life to the dignified fight for a more just and human society in Cuba and around the world. While many debate and dispute the role that a single individual can play in history, Fidel’s huge impact on world events is indisputable. Cuba’s achievements today in social equality and development in the arts and sciences are recognized by international organizations such as the UN, FAO, UNESCO and WHO — in spite of more than 50 years of a cruel U.S. blockade on the island. We say with utmost confidence that Fidel’s important legacy and vital example will continue on long after his passing. Through many of the unforeseeable ups and downs of the Cuban Revolution, Fidel Castro’s consistent revolutionary method in approaching all challenges has led Cuba to succeed. These battles have been fought and overcome through the pressure and devotion of the Cuban people to their revolution and its gains, but also through the clear foresight of Cuba’s revolutionary government led for more than 50 years by Comandante Fidel. 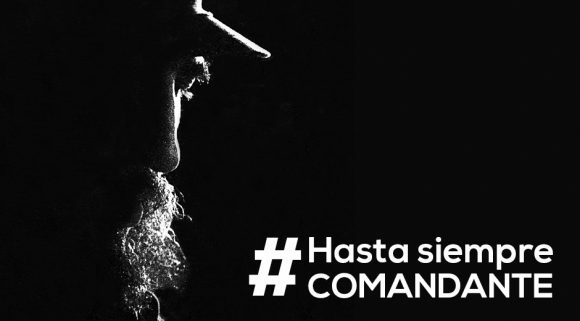 As a young revolutionary defending himself against the courts of the dictatorship he later overthrew, Fidel made the famous proclamation, “Condemn me, it does not matter, history will absolve me!” More than 60 years later, we can say with complete certainty that he was correct. Now is the time for all of us to work together tp keep up the fight in the ongoing struggle for a new and better world. This is how we best honour the legacy of this tireless, humble, incredible and one of a kind revolutionary.